Many of us well-trained professional counselors specialize in relationship therapy. But the general public may not know how couples counseling can make you more discouraged. It’s important to know the factors that get in the way of improving relationships. When a couple comes in for counseling, their relationship is my client. Even though they are two individuals, the focus is the well-being of their marriage. In some cases, couples counseling is not appropriate. Here are questions to ask. Certain behaviors and attitudes are our “normal.” But it’s still destructive. We may not have discernment about issues of emotional and verbal abuse. For couples counseling to be effective, the well-being of each spouse must be honored. If it can’t, it’s time for individual therapy. First of all, if couples counseling is not appropriate, DO pursue individual therapy. Secondly, it may be appropriate to come back to the couples therapist when both spouses can respect each other. They’re able to partner with common intentions. Many couples’ therapists can be fooled by the most clever and charming of spouses who abuse. I don’t like labeling individuals as “abusers” or any other derogatory term. And unfortunately, therapists can inadvertently harm the bullied spouse if they lack additional training. And we’re all human. So even therapists’ marriages can have similar issues. The power/control issues of emotional abuse are ingrained in our society. It’s vital for therapists to have acute self-awareness. They hold power in the counseling office that can repeat what victims experience at home. Too many in our field have unknowingly caused harm by lack of awareness. A more difficult issue to assess is emotional or verbal abuse. And it’s important that each spouse is honored through couples work. I’m not suggesting that we perceive one partner in a marriage as the victim and the other as the villain. Both individuals can be willing and teachable to overcome the power/control dynamic. If not, individual counseling will give a sense of clarity. Start with your free consultation to find out if if couples or individual therapy is best for now. When we travel by plane, we’re used to hearing the flight attendant’s safety instructions. He or she usually says something like this. If we attempt to help others before adjusting our own mask, we may end up passing out. Then we can’t help anyone. We need to take that same advice for our relationships. Marriages are like a pressurized cabin at various times. They are not so even-keeled. We experience turbulence and high altitudes. Storms and fair weather affect our differences. Our ears pop. The ride gets rough. We’re required to stay in our seats with seatbelt securely fastened at times. Early on in romance, our differences are exciting, novel, and energizing. After marriage, and sometimes before, our differences can become outright annoying. That’s when they can escalate into major conflicts. Other life transitions expose the soul storms of a marriage. Raising children, career development, loss, and core differences create turbulence in life. But we can get beyond messy marriages. Many Christian couples vow, “The two of us are one.” It doesn’t take long to realize one or both are subconsciously saying things like this. We two are one. And yes, I’m the one. Or, in a patriarchal or what some consider a “biblical” marriage, a bride may live her life like this. We two are one. And, yes, he’s the one. As years go by, both lose opportunities to develop their character. They lose their individual selves as well as the relationship. One of them becomes invisible. The other one gets caught up in self-delusions. Neither has insights into their own souls. Neither one attempts to adjust their own oxygen mask. They’re too busy trying to improve, fix, or help the other. They become bitter, resentful, angry and resistant. Their world gets smaller. They become stuck. Or, figuratively, they pass out. It takes two to honor each other and respect one another’s differences. And it still takes two to do that in a relationship. Here’s points to consider. Conflict is necessary for personal and relationship awareness. Don’t avoid it or run from it. Don’t criticize your partner or try to win them over to your side. Instead, be open. Listen to understand. There are more than two ways to resolve a conflict. Seek counseling or outside help to resolve resolvable conflicts. And to adjust to unresolvable conflicts. World-renown researcher, Dr. John Gottman, gives us clarity. Sixty-nine percent of happily married couples have unresolved conflict. The difference between the “masters” and the “disasters” are this. The “masters” are the ones who adjust and accept their partner’s differences. The “disasters” allow perpetual resentment and negativity to grow. Do breathe deeply when you feel reactive, irritable, angry, or triggered by your spouse. Slow down. You’ll get clarity when you do. See your spouse as a gift from God. When you do, you can develop an attitude of thankfulness. You’ll nurture your soul and grow your character. Be willing to accept your spouses’ issues as helping yoube more understanding. The cabin pressure of your marriage will change. Those oxygen masks will drop. Always adjust yours first. Balance the “we” and “me” in romance and marriage. Your beautiful life is worth keeping your soul intact. I’m writing more on the steps for balancing the “we” and “me” in romance and marriage. So, let’s stay in touch in the meantime. My husband and I recently attended his 45th High School Reunion. There were a handful of couples who had been married over forty years! I was curious about the secret to their success. Of course, I want wisdom for my marriage. And I want to help others with “how to know the state of your marriage.” Beyond my clinical knowledge and experience, this was a perfect time to ask. These were couples my husband knew since adolescence. And it was the best environment outside my counseling office to get insight. Of course, not all long-term marriages give evidence of partnership. Some couples look worn down and live like room-mates under the same roof. We all go through seasons or years of unhappiness or dysfunction. That’s why I steer away from the term, “happy marriage.” It’s more valuable to work toward a growing marriage. And that was my takeaway after listening to the couples at the reunion. Marriage falls into one of two categories: “masters” or “disasters.” Chapter 11 of my book, Beyond Messy Marriages addresses these two categories. One of my mentors, Dr. John Gottman, is world-renowned for his research on marital stability. The research findings are packaged in his books for the general public. Clinical training programs for therapists like me have been invaluable. I was privileged to meet Drs. John and Julie Gottman in Atlanta in early 2018 for the Level 1 Clinical Training. Many who write books on marriage use his findings to define what does and doesn’t work in relationships. Dr. Gottman helps us understand differences between “the masters” and “the disasters.” In other words, those who grow beyond their marital messes are the “masters.” Those who get stuck are the “disasters.” Certain behaviors and attitudes put us heading in one direction or the other. Imagine a horizontal line with arrows on either end. Remember geometry class? Anyone of us can be an “x” on a continuum line facing either right decisions on one end or wrong decisions on the other. This idea helps us see the fluidity of our choices. We have hope for changing our dance (relationship) patterns. We can apply that same horizontal line with an “x” representing our marriages. Are we heading in the direction of the “masters” or the “disasters?” In other words, we can change directions with the smallest of decisions. Gottman’s research challenges how therapists help or hinder couples they work with. For example, we shouldn’t focus solely on conflict resolution skills. The reason is that 69% of conflict in our relationships are perpetual. They have no resolve. The couples I spoke with at the reunion validated these findings. So you could divorce one spouse and marry another. But you will experience a different set of perpetual conflicts. They’re likely to add up to the same percentage as the old marriage. The wisdom here is for couples to learn how to solve the 31% of conflicts that are resolvable. And grow through accepting the rest. We can learn to grow through, adapt, and even appreciate the remaining perpetual 69%. Unless, of course, part of that 69% dishonors the dignity, value, and worth of either spouse. We all have different stories in our heads about how secure or satisfying our relationships are. It’s common for one person to be satisfied while the other isn’t. That’s why it’s important to know how to get positive results in your relationship. Some of us take pride in managing our money and then later found out a check bounced. Or we’ve balanced the checkbook and then discovered we spent more on the eating out category than budgeted. Using another example, have you believed you were eating well, then were surprised the scales registered 10 pounds more than expected? Have you written down everything you ate? Then saw you were taking in many more calories than you were actually burning? Many couples enter counseling with a lot of uncertainty. One is usually dragged in by the other. It makes sense that couples who detect problems in their relationship, on average, wait an additional six years before they get help. It’s very common for one spouse to minimize and the other maximize. I call it the “Turtle/Tiger” syndrome. 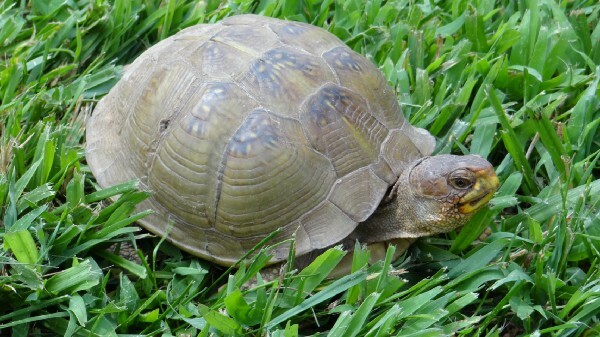 Turtles typically hide in their shells and avoid conflict or accuse their partners of blowing things out of proportion. Turtles tend to see things “not as bad” as they really are. 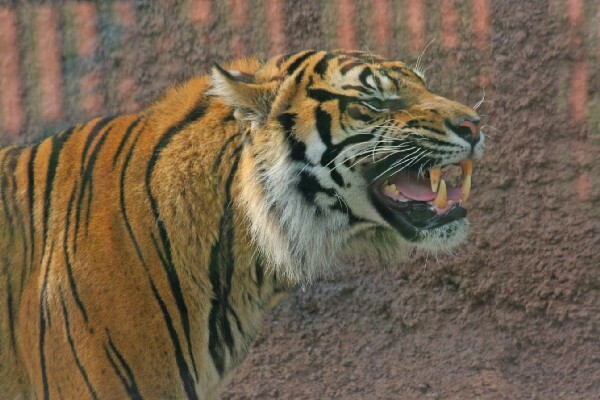 Tigers, on the other hand, roar and persist until they are heard. Many times they DO see things worse than they are. A couple years ago, I created The Partnership Pattern chart which helps you keep track of both positive and negative behaviors in your relationship. For those who like to check things off, it can be a great way to balance the check book of your relationship. All you have to do is observe, experience, and rate measurable items that are going on now in your relationship. But after I created the chart, I hesitated to share it. Why? I’m glad you asked. The tendency is to focus our attention on what our partner is doing wrong rather than what we are doing wrong. What we choose to focus on, we’ll find. Yet, it’s vital we don’t ignore clear behaviors that minimize our dignity. Generally, if you look for the positive behaviors, you’re likely to find them. And, of course those negative behaviors scream for your attention. Normally, we don’t realize how our own responses and reactions invite negativity from our partner. We’re paving the way to get the things we don’t want. Most relationships follow the law of reciprocity. But we need to be aware when the character of the relationship isn’t reciprocal. Filling out the chart objectively may reveal serious relationship issues such as emotional, mental, or physical abuse. Don’t hesitate to get immediate help if you’re living in fear or danger. Here’s why I’m offering The Partnership Pattern chart anyway. It’s vital we don’t ignore clear behaviors and attitudes that minimize our dignity. If you could be honest with yourself, it can be revealing about how to get positive results in your relationship. And get the help that you may be minimizing. Ideally, it’s great for both Tigers AND Turtles to participate. But if the Turtle in your life is still hiding, you Tigers will have a great outlet for grounding in reality. The idea is to check off what you experienced most in the relationship that day. Do it every day for one month and get a clear picture of what you need, whether it’s a marriage enrichment weekend or crisis intervention with your local counselor. Know where your relationship stands. Sign up for your free Partnership Pattern chart. Or, Sign up for your free 20 minute consultation.